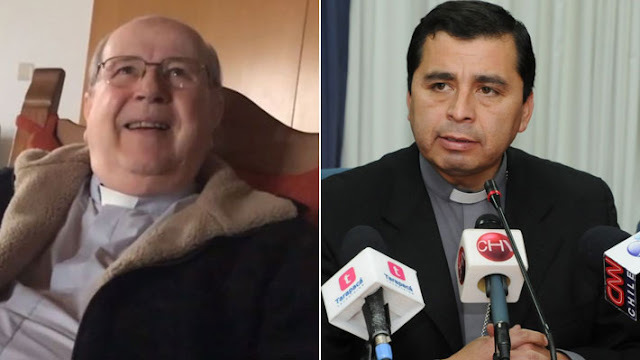 Communiqué from the Press Office of the Holy See, 13.10.2018 The Holy Father has resigned from the clerical state Francisco José Cox Huneeus, archbishop emeritus of La Serena (Chile), member of the Institute of the Schoenstatt Fathers, and Marco Antonio Órdenes Fernández, bishop emeritus of Iquique (Chile). In both cases, article 21 § 2, 2 ° of the motu proprio "Sacramentorum Sanctitatis Tutela" has been applied , as a consequence of overt acts of abuse of minors. The decision adopted by the Pope last Thursday, October 11, 2018, does not admit appeal. The Congregation for the Doctrine of the Faith has already notified the interested parties, through their respective superiors, in their respective residences. Francisco José Cox Huneeus will continue to be part of the Schoenstatt Institute of Parents.